If you are a fan of Britax car seats (like I am! ), hurry over to Amazon.com where today only you can snag 20% or more off select Britax car seats! 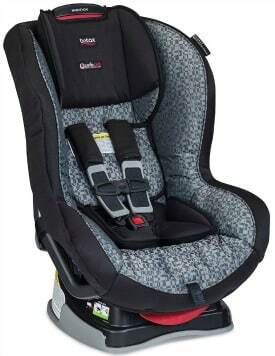 There are several highly rated car seats to choose from including this Britax Marathon G4.1 Convertible Car Seat, Silver Cloud, for just $173.99 (regularly $232.00) with FREE shipping! Go on over to see the complete list of Britax car seats on sale today only and pick up your favorite. This Amazon best bargain of the day is valid September 1 only and while supplies last.